Attorney David Lourie promises to fight a 'cockamamie' ordinance cited as the reason for the City Council's decision. SOUTH PORTLAND — The lawyer for two low-budget motels on Route 1 promised to file a lawsuit as the City Council took the final step Tuesday to put them out of business on June 1. 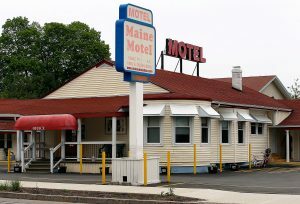 The council decided May 15 not to renew lodging establishment licenses for The Knights Inn and the Maine Motel because of several incidents of alleged prostitution or drug-related activity at the family-owned-and-operated motels. The council voted unanimously Tuesday night to approve so-called “findings of fact” regarding repeated “calls for service” to police that were the basis for denying the license renewals. 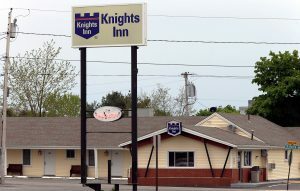 The findings focused on two prostitution incidents at The Knights Inn – one that resulted in an arrest – and three overdoses and a drug raid at the Maine Motel. 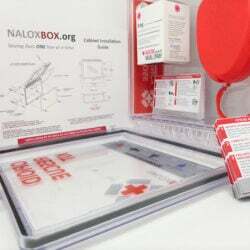 One of the overdoses resulted in a death and four people were arrested in the drug raid. Lourie said he plans to seek a temporary injunction this week to block the city from shutting down the motels when their licenses expire May 31. Last week, the council voted 5-2 and 7-0, respectively, not to renew licenses for The Knights Inn, at 634 Main St., owned by Kantilal Patel, and the Maine Motel, at 606 Main St., owned by Ibrahim Dhamdachhawala. Both owners and their family members attended Tuesday’s meeting but did not speak. While the motels are on Route 1, they are in the center of Thornton Heights, a residential neighborhood on the west side of South Portland, where homeowners increasingly have asked the city to respond their concerns. The council acted on a rare recommendation from Police Chief Ed Googins, who asked that the licenses be denied or conditions be imposed on the businesses. Chief for 24 years, Googins said it was first time he recommended that a lodging establishment license not be renewed. At the same time, the council approved 15 other lodging establishment licenses that were recommended for renewal, including the nearby Howard Johnson and Best Western Merry Manor Inn. Each hotel or motel is reviewed annually by police, fire and health officials. According to the findings of fact, Googins testified last week that he was especially concerned about the prostitution incidents at The Knights Inn, where it was a neighbor and a person working in the area who reported the activity to police, not the motel’s owner or employees. City officials said the repeated calls for service at the owner-occupied motels violated a city ordinance that allows revocation or nonrenewal of operating licenses for disorderly conduct and disturbing the peace. Googins sought to impose conditions on the motels, including installing video surveillance in public areas and having motel employees attend police training to identify and report potential criminal activity. Googins said the motel owners attended a training session May 15 and said they wanted to work with police. Lourie told the council Tuesday that the owners wanted to abide by the conditions, including the installation of video cameras. One resident, former councilor Rosemarie De Angelis, urged the council to reconsider the nonrenewals, calling it an inhuman and punitive action that would leave the owners’ families homeless and without the means to make a living. Asked by Mayor Linda Cohen, City Attorney Sally Daggett said the council could reconsider the nonrenewals at its next regular meeting in June. No councilor indicated an interest in pushing for reconsideration. CORRECTION: This story was updated at 2:15 p.m. Wednesday, May 23, 2018 to correct the name of the motel owners’ attorney.